Our Kids Camp brings together an unparalleled team of gifted artist instructors for a fun-filled week of music and very special activities for ages 8-14 from June 10-14, 2019. Our Kids Camp is open to experienced and novice players alike. 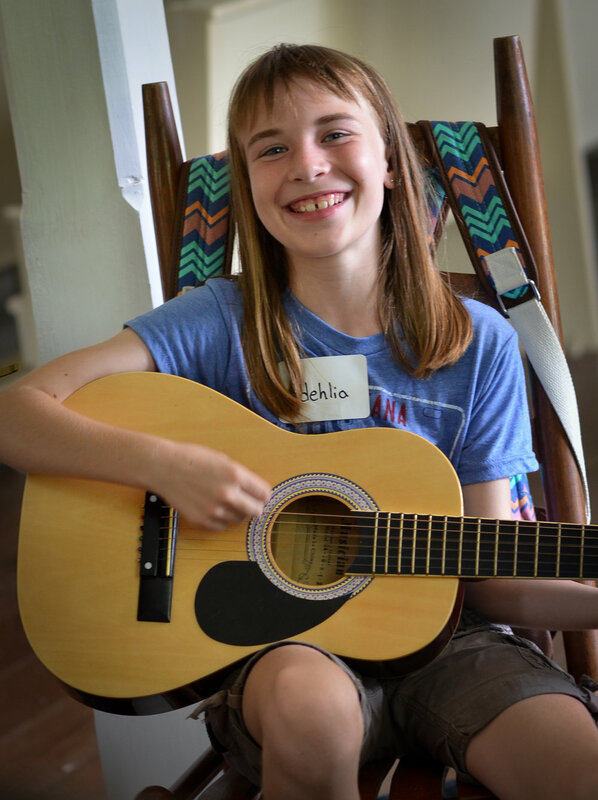 All you need to do is bring a guitar, a tuned-down fiddle or a 10-button diatonic accordion in the key of C, and we’ll fill the days with music classes, band labs, singing, dancing, cuisine and other great educational activities. Our Monday-Friday day camp culminates with performances by camper bands and a graduation ceremony complete with a camper-parent dance. Our $250.00 registration fee includes all activities, snacks, and a camp T-shirt. Members of Friends of LFR receive a 10% discount. Sibling discounts of 10% per child are also offered (limit 1 discount per child). Kids Camp runs from 9 a.m.-4 p.m. Monday-Friday for one week June 10-14 and offers unparalleled experiential cultural learning with an amazing staff teaching daily instrument classes, band lab sessions, and providing instruction in singing, dancing and cuisine. Parents and family members are invited to visit our camp during the week, and a detailed schedule of our Kids Camp activities is available at the beginning of each camp. Opened in 1990, Vermilionville is a living history museum and folklife park that preserves and represents the cultural resources of the Acadian, Native American, and Creole cultures – from the time period 1765 to 1890. The park sits on a 23-acre site on the banks of the Bayou Vermilion with 19 attractions, including seven restored original homes and more than a dozen local artisans providing regular demonstrations of a variety of essential crafts and folkways of the region’s early inhabitants and settlers. Vermilionville is located at 300 Fisher Road, near the Lafayette airport. The Acadian Cultural Center is just steps from Vermilionville, and this unit of the National Park Service depicts the story of the Acadians who settled the prairies, bayous, and marshes of southern Louisiana. Displays and exhibits explain the origins, migration, settlement, and contemporary culture of the Acadians and other groups who live in the Lafayette area.